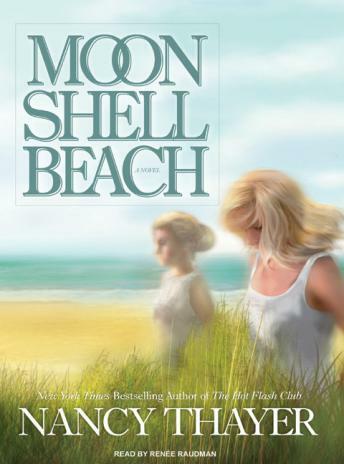 Best friends Lexi Laney and Clare Hart shared idyllic girlish adventures all over Nantucket Island, spending much of their time at their secret hideaway, Moon Shell Beach, a magical place where they remade the world. But when Lexi eloped to a life of luxery at age nineteen, she left behind a broken friendship with Clare and resentment from nearly everyone else. Now Lexi has returned to Nantucket after eleven years and a bitter divorce. Clare, a chocolatier living at home with her widowed father and dating a gorgeous carpenter, finds forgiving and forgetting more difficult than she ever imagined. In the less innocent world of adult men and women, awash in failed loves and romantic disappointment, the estranged soul mates struggle to recapture the feelings of bliss that came so easily to them as children. As an emotional tempest sweeps the vibrant, tight-knit island community, Nancy Thayer's irresistible and deeply moving novel deftly explores the evolution of a lifelong friendship, the power of forgiveness, and the rewards of believing in miracles.